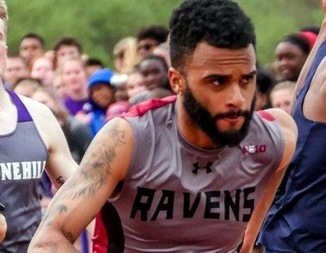 Graduate student Dage Minors of the Franklin Pierce University Men’s Track & Field Program has earned All-America First Team Honors in the Outdoor 800 meters from the United States Track & Field and Cross Country Coaches Association, as officially announced by the USTFCCCA. The USTFCCCA bestows All-America First Team honors on those who finish in the top eight in each event at the NCAA Championships. In addition, all individuals who finish ninth through 12th earn All-America Second Team accolades. For Minors, it is his third Outdoor All-America selection, as well as his sixth overall. He previously earned All-America honors for the 2015 and 2017 outdoor seasons, as well as the 2014-15, 2015-16 and 2016-17 indoor campaigns, all in the 800 meters. This spring, he ran the seventh-fastest preliminary time at the NCAA Championships, with a 1:49.45, to secure a spot in the 800 meter final. In the final, which wound up being the fastest race in Division II history, Minors finished fifth, with a time of 1:48.53, which established a new school record.